It’s been 4 weeks since Desire’s last trim and almost 6 weeks since I last rode her. In fact, with one exception, I hadn’t hauled her anywhere off the property since Hat Creek Hustle in early June. And here it is, almost August! 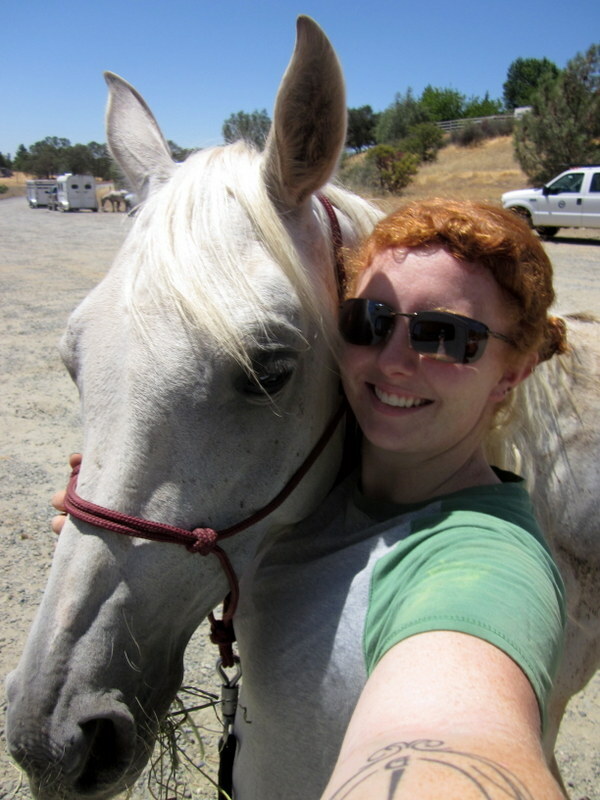 I must say that while I missed riding her, my 3 other horses (oh yeah, and life) have been keeping me quite busy. It was great to get another successful LD in on Blaze this month and finally get my filly riding in the trailer. 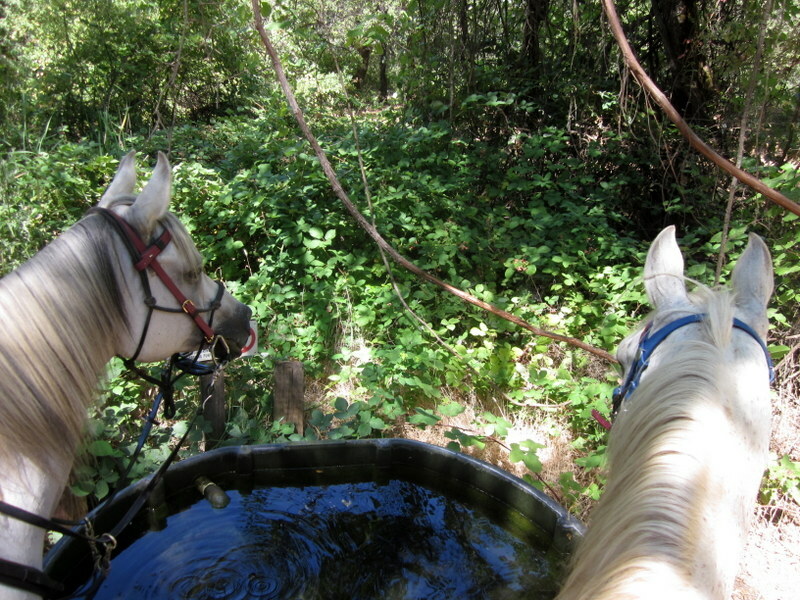 But I was definitely ready/terrified to get Desire back out and on the trail. I’ve evaluated her and worked her a handful of times in the last few weeks, just on the ground in the arena and round pen. She had been working completely sound, but I kept chickening out of riding her! 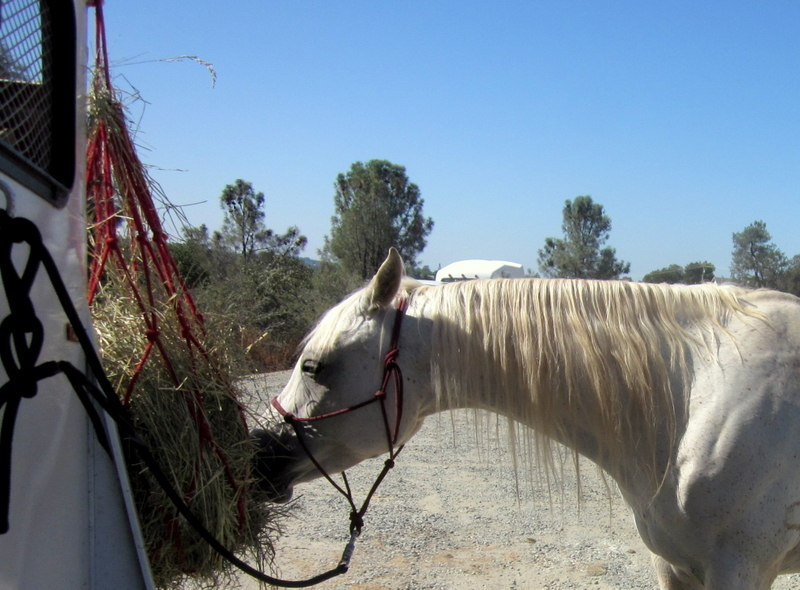 She is such a fabulous, fun ride but is 16 years old next month and I am very concerned with her health and happiness over the long term–and boy, there is nothing like a lameness in your teenage endurance horse to throw you for a loop and make you question, well, everything. 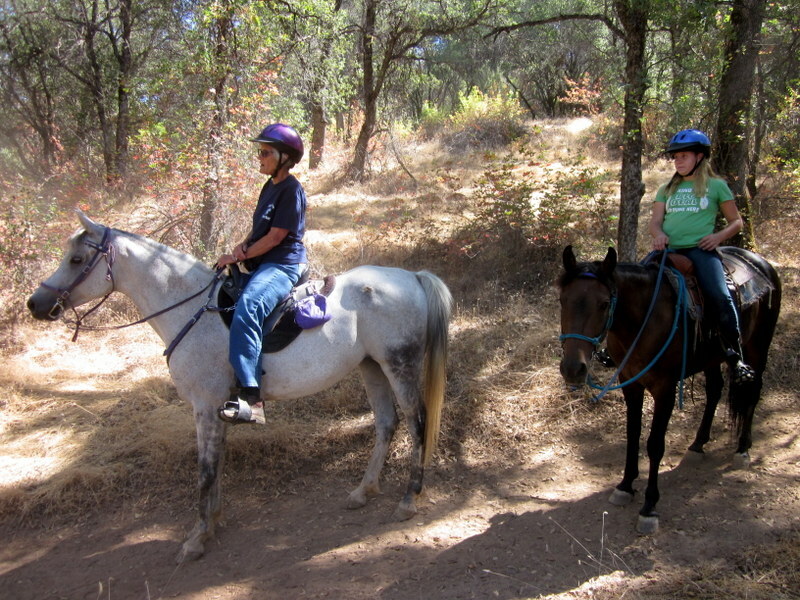 Anyhoo this morning I had a ride planned with N–had told her I didn’t know what color horse I’d be bringing–and I finally bit the bullet and decided to pull Desire to take along. We got an early a.m. hay delivery (huzzah!) and then I set the Specialized up for Desire, loaded her tack, combed the 200 stickers out of her mane and forelock, and off we went. I put her in thickly padded Easyboot Epics in the front and her usual Easyboot Gloves in the hind. 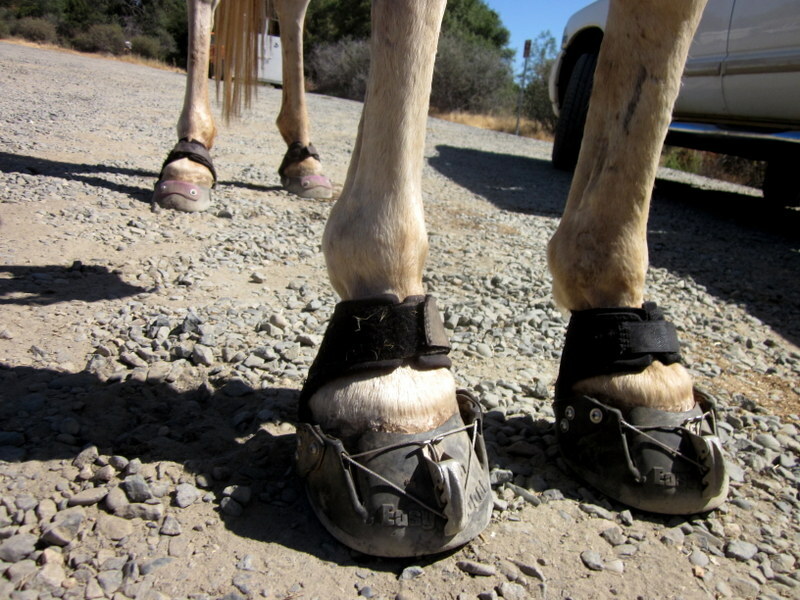 The theory is that the slim line Gloves weren’t giving her nearly-flat, thin soled front hooves enough protection and since her lameness was inconsistent and confusing, my trimmer and I figured eliminating one potential problem (being footsore vs. muscle/tendon etc sore) might be useful. Sheza put on a big show when we got home and I led Desire back to the shared gate of their paddock/pastures. There was a big dust cloud rising and I could just see a red streak fly past once in a while as we walked that way. Ohhh mommymommymommy you came back! 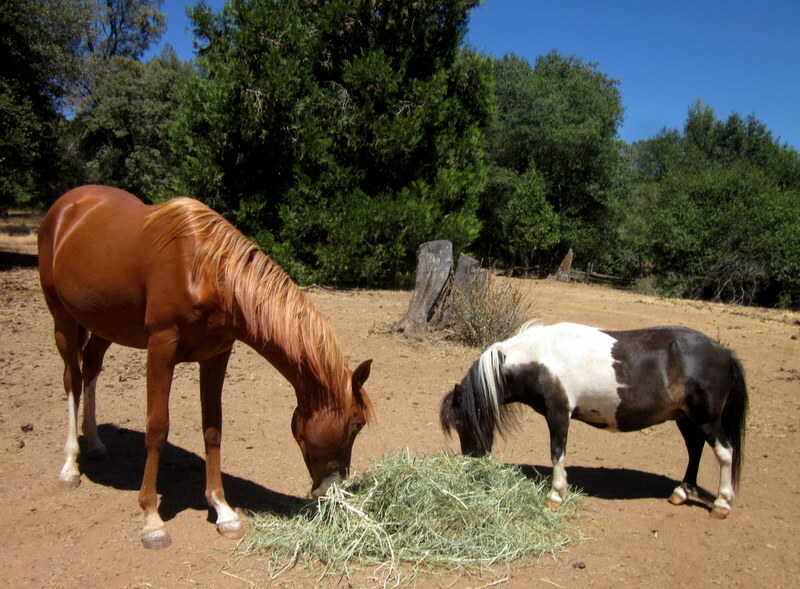 Then Mommy dearest shared some of her hay and Sheza lost all interest in mommy dearest. As it should be. I'm so glad you're back on her! I know what you mean about mystery lameness, eeek. Also, you're mistaken. 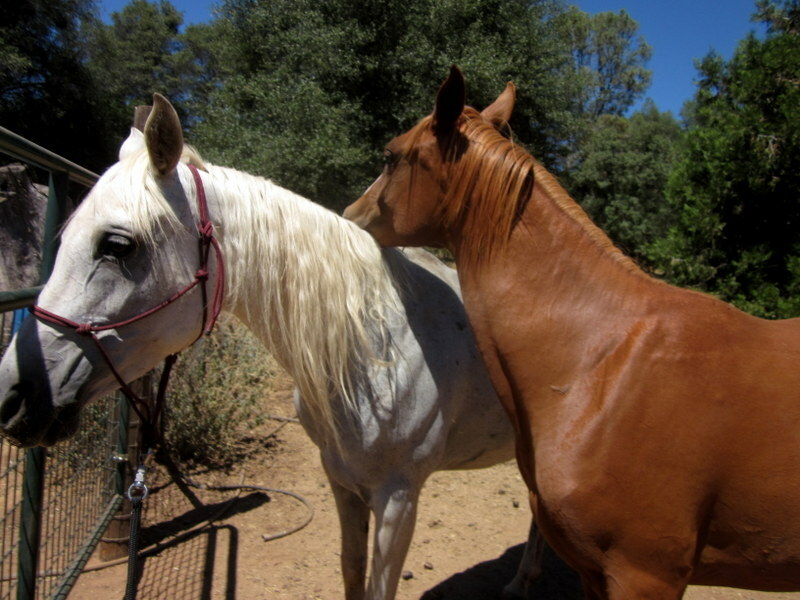 White horses are SUPPOSED to have yellow tails and yellow/brown/red legs, depending on where they live. It's, uh, camouflage! I'm buying what you're selling. 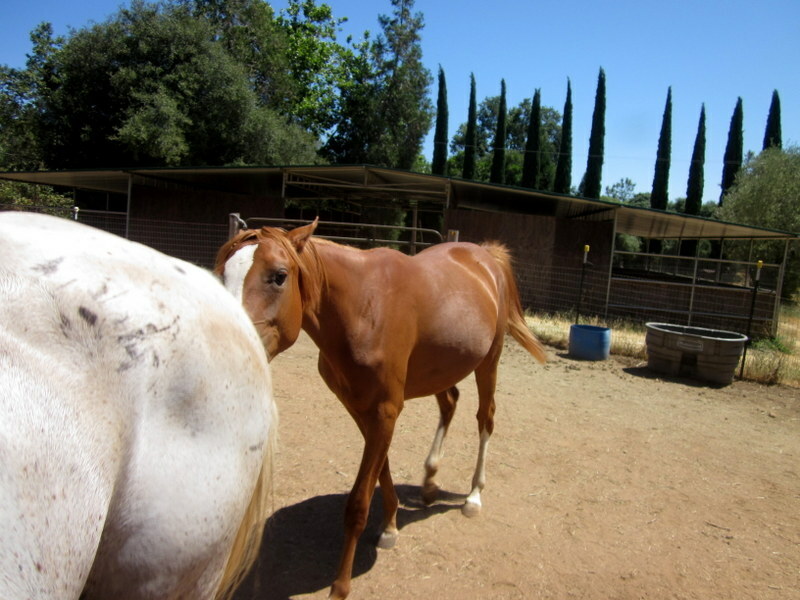 She is always yellow/brown/red and she isn't even a horse that rolls very often. It was good to be back on her! and scary! and good..